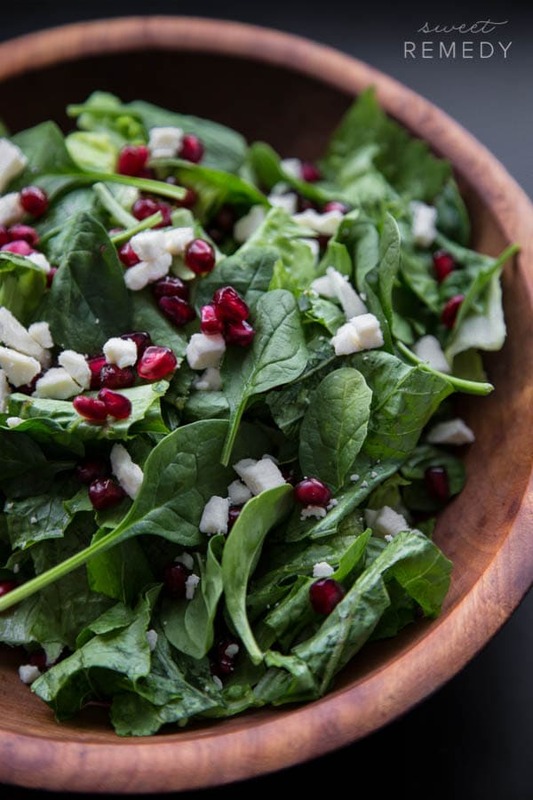 This Spinach Pomegranate and Feta Salad is gorgeous. 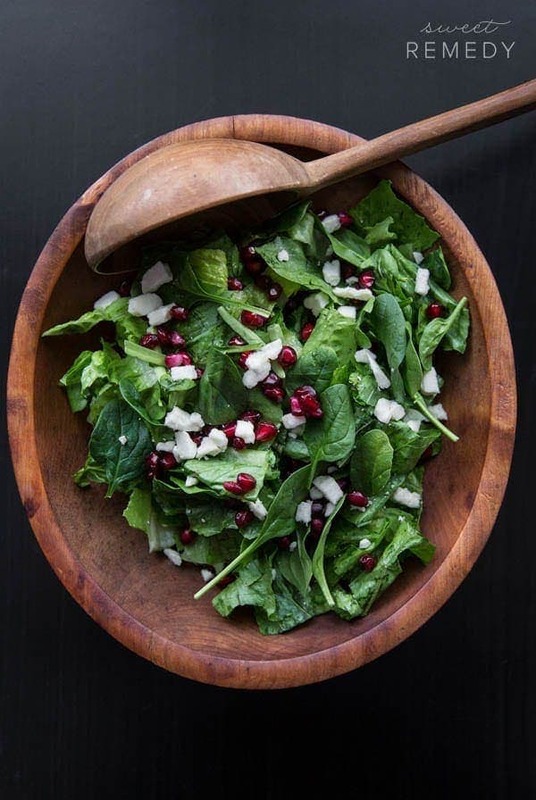 I’m not sure if it is the wooden bowl and large wooden spoon or if it is the pretty pearl pomegranate arils combined with chunks of savory feta and leafy green romaine and spinach. Perhaps it is a little bit of both. Any Balsamic dressing you have on hand will be great with this salad. 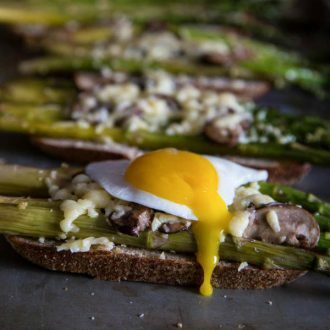 If you want to throw in some walnuts or pecans, please do so! I actually really meant to add a nutty flavor but I was so excited to photograph the bowl that I forgot. 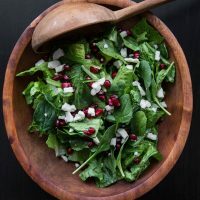 If you want to make your own balsamic, I have a damn good Pomegranate Balsamic Dressing for you! Again, the crazy beautiful wooden bowl had me mesmerized and I forgot to photograph the dressing. You can kind of see it in the photo below. I at least remembered to douse my salad with it before digging in. It is a very pretty red color and needs to be stirred often to keep the oil and vinegar combined. If you are carnivorous, feel free to add some chicken or bacon to this salad. 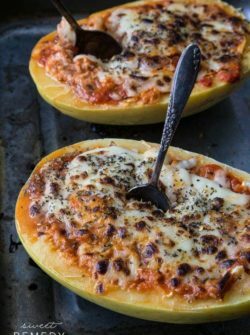 I actually meant to add bacon. I forgot both bacon and walnuts but I still enjoyed the pomegranates, spinach, and cheese! 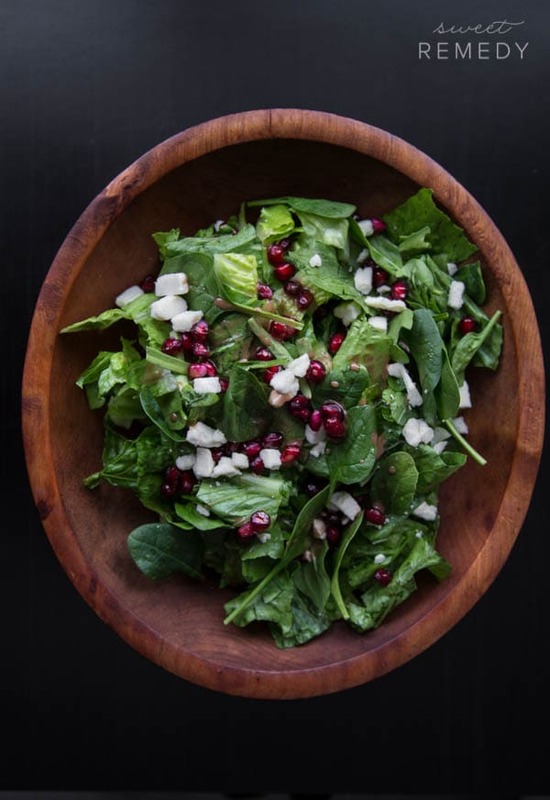 This salad is light and flavorful, perfect to brighten up your day. 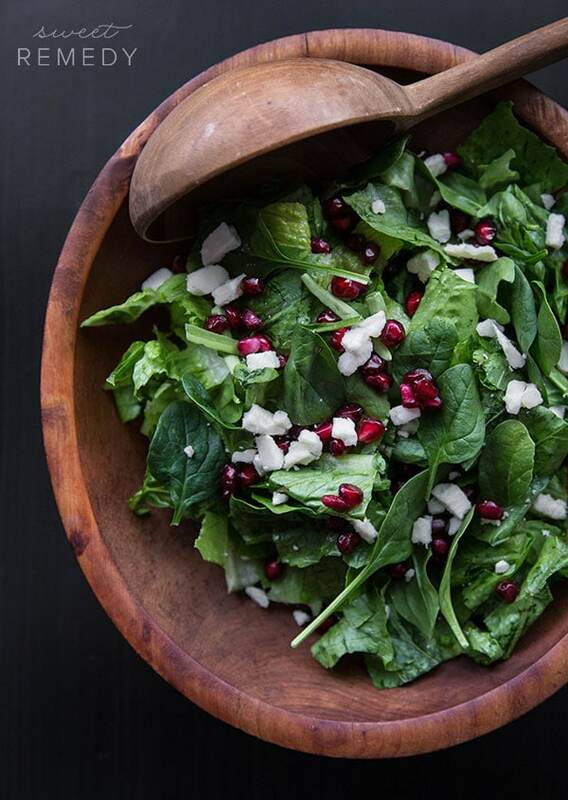 The Pomegranate Balsamic Vinaigrette gives the greens a refreshing yet tart flavor. 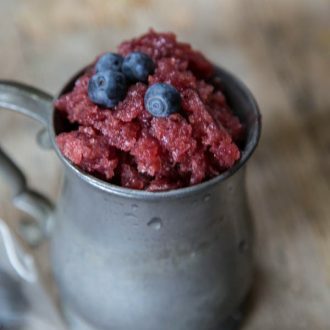 Add pomegranate juice, lemon juice, balsamic vinegar, honey and dijon mustard to a food processor or blender and blend until completely combined. Slowly drizzle the olive oil into the food processor or blender through the top opening while the blender is on low. Mix the romaine lettuce and spinach together. 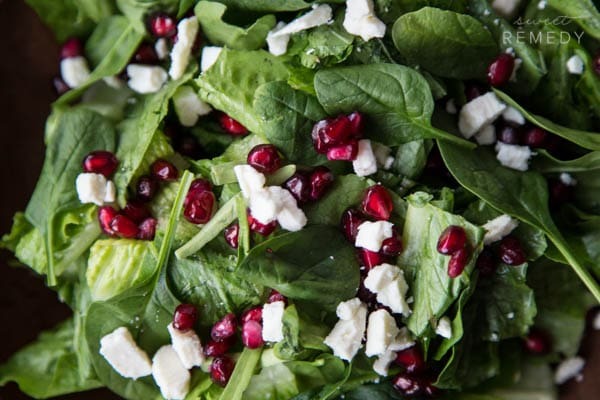 Top with pomegranate seeds, feta or goat cheese and vinaigrette.